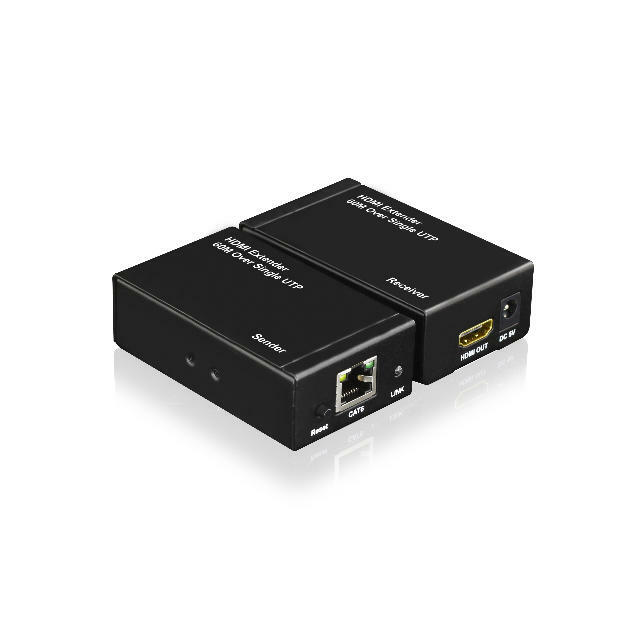 Extends HDMI signal over a single CAT6 cable between transmitter and receiver up to 60 meters away. Ideal for extensions HDMI high quality signal point to point long distance. metal housing. It includes transmitter, receiver and power supplies.